Mohawk presented two honourary diplomas at the June Convocation ceremonies. Honourary Diplomas are conferred on individuals who have made a significant contribution to the academic direction of the College. This year, we were pleased to present honourary diplomas to Wayne and Rick Marshall. 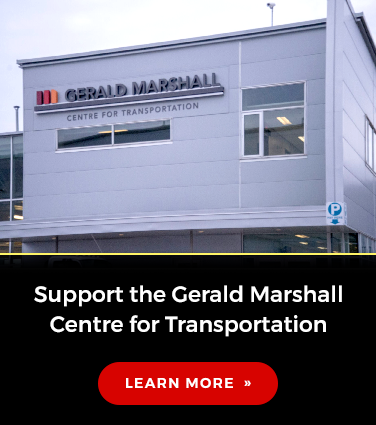 Wayne, Rick and the Marshall Family were instrumental in the success of the Shaping Your Future Campaign in support of the STARRT Campus and the Gerald Marshall Centre for Transportation.